Did you know you can eat your way to beautiful and flawless skin? There is a strong connection between what you eat and how you look. With the right foods, you can even reduce signs of aging like wrinkles, thickening, discoloration, and decreased elasticity. At the same time, eating proper foods helps keep you healthy from within. A healthy body will always reflect healthy skin. A balanced diet is an essential prescription for healthy and vibrant skin. Foods that are high in antioxidants, such as vitamins A, C, and E, and selenium, help keep your skin well protected and nourished. 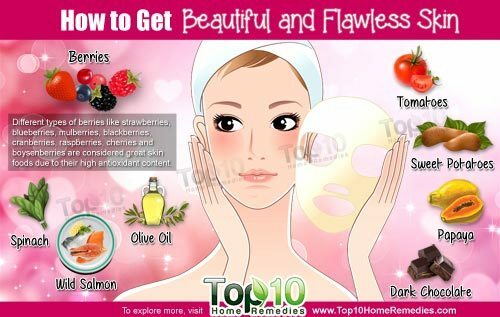 Here are the top 10 foods to get beautiful and flawless skin. Different types of berries like strawberries, blueberries, mulberries, blackberries, cranberries, raspberries, cherries and boysenberries are considered great skin foods due to their high antioxidant content. In fact, a 2012 study published in the Journal of Agricultural and Food Chemistry found that berries have potent antioxidant capacity. Antioxidants combat free radicals and slow down the aging process by reducing oxidative damage to cells. Along with antioxidants, berries have anti-inflammatory properties. Berries are easy to eat as a snack and you can add some to your cereal, smoothies or yogurt everyday to enjoy healthy and beautiful skin. Olive oil is a good source of polyphenols, antioxidants like vitamin E, and essential fatty acids, which can actually help delay the aging process in a beautiful way. It is also rich in squalane, a natural emollient that is great for your skin as well as nails, lips and hair. The high amount of vitamin E in olive oil helps protect cell membranes and guards your skin against damage from the sun’s harmful ultraviolet rays. You can apply olive oil directly on damp skin as a great moisturizer after taking a shower. It also makes a great hand moisturizer and can be used as a makeup remover. To enjoy the health as well as beauty benefits of olive oil, sprinkle it on your salad and use it for cooking your meal. Wild salmon is one of the best food sources for omega-3 fatty acids, which help maintain cell membranes to allow water and nutrients in while keeping harmful toxins out. These healthy fats also reduce inflammation in the body and lower the risk of skin cancer. Salmon also contains selenium, a mineral that protects the skin from harmful UV rays. 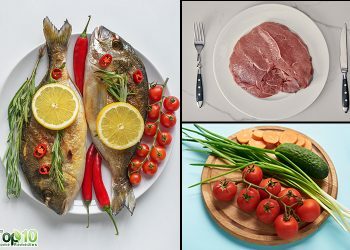 Aim to eat at least two servings of this fatty fish each week. 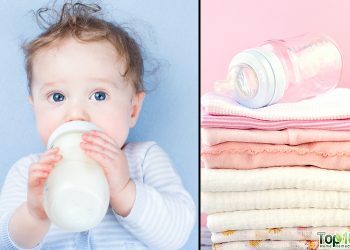 One serving equals two to three ounces. You can enjoy salmon grilled or baked, in pasta or salad, or as a side dish. Along with wild salmon, herring, mackerel and sardines will help promote smooth, clear and glowing skin. This leafy green vegetable is rich in antioxidants along with vitamins B, C, and E, potassium, calcium, iron, magnesium, and omega-3 fatty acids, which are great for the overall health of your skin. In a study published in the International Journal of Cancer, people who ate more spinach suffered less from different types of skin tumors compared with those who ate the least amount of spinach. This is possible due to the high amount of folate in spinach that helps repair and maintain DNA, prevents cell damage and slows down the aging process. Also, the water content in spinach penetrates cell membranes and can give you plumper and less wrinkled skin. Tomatoes are the best source of the anti-aging antioxidant lycopene. Lycopene helps reduce inflammatory response to harmful UV damage, thus protecting the skin from the damage due to sun’s rays. To enjoy the skin benefits of lycopene, you need to cook the tomatoes rather than eating them raw. Tomatoes also contain a good amount of vitamin C, which helps in collagen production and protects cells from damage caused by free radicals. Sweet potatoes contain a good amount of vitamin C, which helps in the production of collagen, a protein that reduces wrinkles and helps keep your skin nice and smooth. In addition, the vitamin A in sweet potatoes gives you a brighter complexion. You can include sweet potatoes in your diet by adding them to casseroles, soups or salads. You can even try them baked as a side dish. Papaya is an excellent source of vitamin C that helps protect skin cells against sun damage by promoting the repair of DNA harmed by UV rays. Papaya is also rich in the enzyme papain, which helps nourish and support healthy skin by breaking down dead skin cells so they slough off more easily. Papaya skins can be used to exfoliate your skin, and a finely ground paste of raw papaya makes a great face mask for reducing pimples and blemishes. 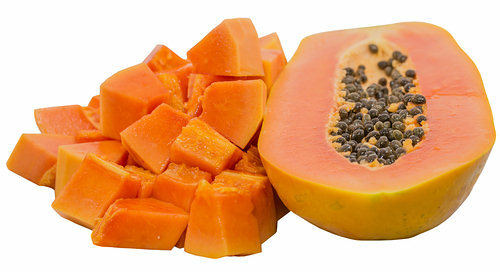 Also, ripe papaya can be eaten as fruit, while young, green papaya can be used in stews and soups. 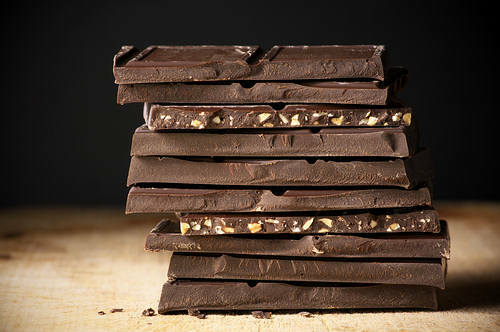 Dark chocolate contains flavonols that help the skin stay hydrated, protect skin from sun damage and increase blood flow. Also, it contains a good amount of cocoa that helps reduce stress hormones, which means less collagen breakdown leading to fewer wrinkles and fine lines. In a study published in the Journal of Nutrition, women who drank cocoa fortified with 326 mgs of flavonols had better skin texture. You can also eat a little dark chocolate every day. Green tea is great for your skin as well as overall health. 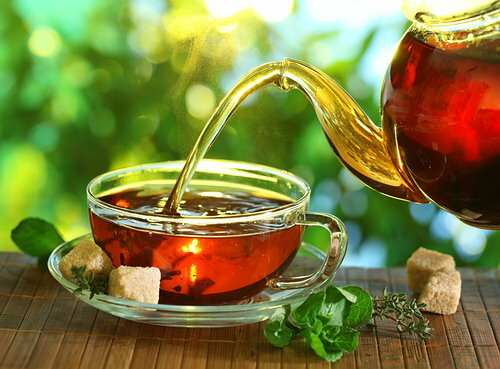 The polyphenols in green tea has anti-inflammatory properties, and it is highly protective for cell membranes. 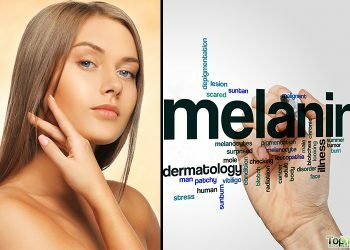 It may even help prevent or reduce the risk of skin cancer. A 2012 study published in the journal Oxidative Medicine and Cellular Longevity highlights the protective effects of green tea polyphenols on skin. 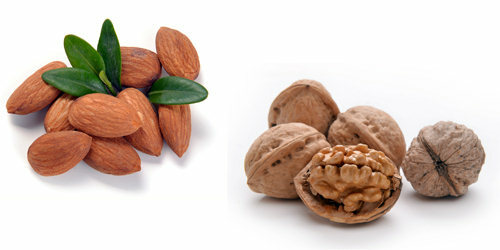 Nuts like almonds and walnuts are good for your skin. A handful of these nuts daily can be the secret to smoother skin as well as healthy hair, due to the presence of high amounts of nutrients like omega-3 fatty acids and vitamin E.
Vitamin E reduces skin-aging free radicals and protect the skin from UV damage. It also helps keep the skin well hydrated, giving you relief from dryness and making your skin look younger. In addition, the omega-3 fatty acids help reduce inflammation in the body and lower the risk of skin cancer. So, the secret behind glowing skin is the food you eat. Along with the right foods, exercise regularly, enjoy sound sleep and avoid over-exposure to the sun to look younger for years to come. I would like to learn more about to make my skin soft and smooth. This is no help be more specific make it eye piping and interesting! Berries! I love them. Great that it will make my skin soft. I love dark chocolate! I’m glad that will help my skin look flawless. Thanks for the tips! This page is a very good page am glad to be part of the team. Am learning new things each and everyday. 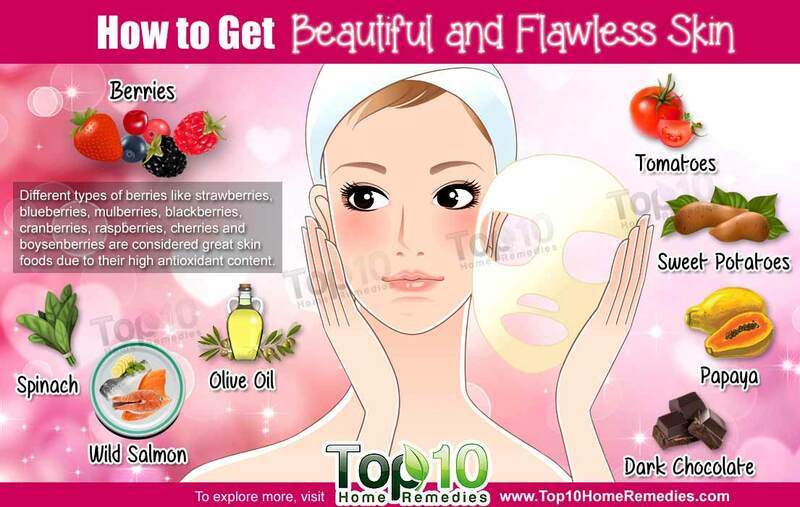 This page displays good tips that are all natural tips for getting glowing and flawless skin. Nice, sent about 2hours here reading your tip. Thanks!! What’s your page on facebook? MoSt berries i tried and its good but blueberries is most effective…ended i stop using bcoz the pores of my skin turned black something like i’ve black heads..and now i simply use strawberry or any fruit as my facial wash and toner. I don’t use any commercial product. I was in the bathroom and I realized I got a pimple. I mixed turmeric honey and olive oil to make a paste, and I then apply it over my face. I rinsed with clean water and now my pimple is getting smaller! I also mixed toothpaste with baking soda and water and I massage it on my face. All the tips mentioned here are strictly informational. This site does not provide medical advice. 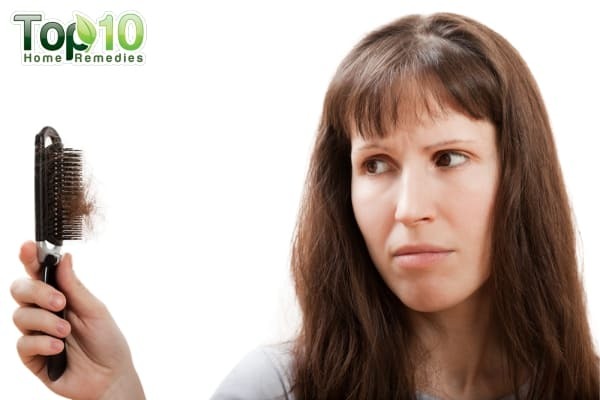 Consult with your doctor or other health care provider before using any of these tips or treatments. Read more.